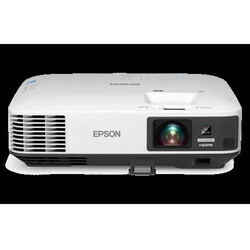 Pioneers in the industry, we offer epson x31 lcd projector, reflective laser home theater projector, bright 3lcd desktop projectors and epson eb-l1505u 12, 000 lumens laser light source wuxga from India. A smart choice with proven performance, the Epson EX31 delivers bright, colorful images in any room thanks to Epson’s innovative 3LCD, 3-chip technology. With 2500 lumens of white light output and 2500 lumens of color light output1, the EX31 ensures brilliant images and true-to-life color. With a host of convenient features, this compact SVGA projector offers the power and versatility you've come to expect from the world leader in multimedia projectors. The EX31 is easy to use with innovative control features and connectivity options. With USB Plug 'n Play instant connectivity, setup has never been easier. Use a standard USB cable to connect to your computer or other USB device. Unlike traditional projectors, which only use USB to give you mouse and keyboard control over your presentation, the EX31's USB Plug 'n Play feature allows you to use USB for instant projection. With an included carrying case and remote control, the lightweight EX31 is ready when you are, wherever your presentations take you. Ideal for the office or at home, the Epson EX31 makes it easy to achieve amazing results. 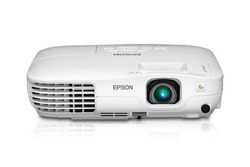 Epson Ultimate Movie Theater Experience 3LCD Reflective laser home theater projector featuring 4K Enhancement. 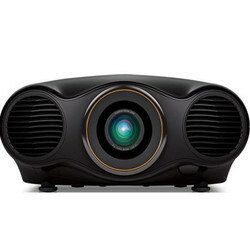 The elite Pro Cinema LS10000 home theater projector combines revolutionary 3LCD Reflective laser projection and 4K Enhancement Technology2 for the ultimate movie theater experience. Immerse yourself in stunning, crystal-clear images with unbelievable detail, even close to the screen. Offering 1500 lumens of color brightness and 1500 lumens of white brightness1, the LS10000 also boasts an unprecedented Absolute Black contrast ratio, wider color gamut, richer colors and smoother gradations. Full HD 1080p and 4K content come alive in amazing 2D and 3D with Super Resolution and frame interpolation technologies. ISF® calibration tools ensure color accuracy. And, installation is easier and more flexible than ever. Take image quality to new levels with Epson's latest large venue installation range, featuring game changing laser projection technology. Capture audience attention with Full HD resolution and 4K enhancement technology that allows users to experience the latest 4K effect. Looking for Laser Projector ?